Use your phone as a self-starting dash cam. Auto record when driving is detected. 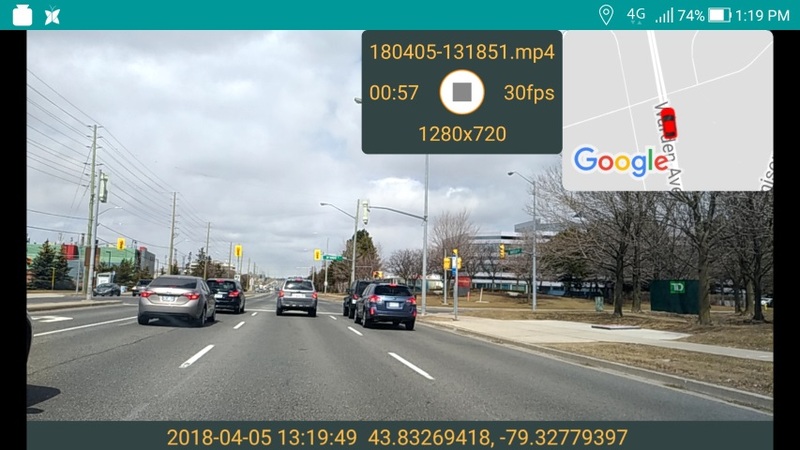 This app is designed to extremely simplify the use of Android phones for dash cams. To start recording your trip just mount the device in vertical landscape position and start driving. The app will automatically detect that situation and will turn the camera on, even in background. ULTIMATELY, the worst problem in screen broadcasting to Facebook is resolved. 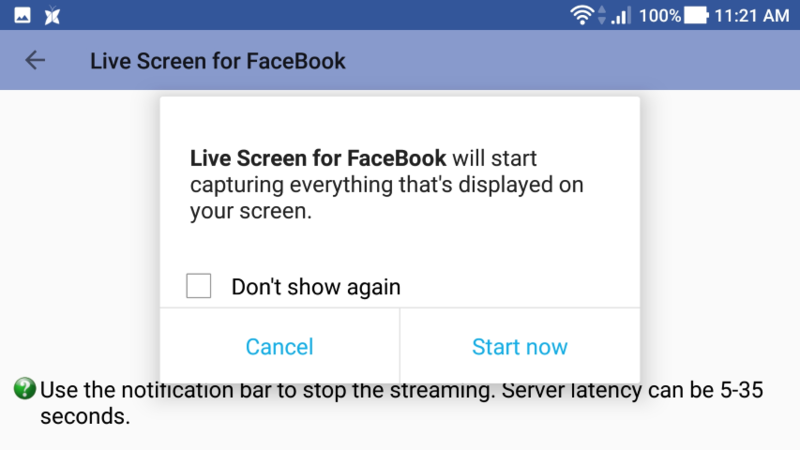 How often have you encountered freezing video while broadcasting live your screen to Facebook? Your Facebook friends will be able to watch your game play or any other screen activity with minimal dropped frames, while getting the best possible video quality in ever changing internet congestion. This is achieved by automatic bandwidth detection and adjusting the bitrate according to the current network conditions. FINALLY, the biggest problem in live video broadcasting to YouTube is resolved. How often have you encountered freezing video while streaming live to YouTube? This app will help you minimize dropped frames, while getting the best possible video quality in ever changing internet congestion. This is achieved by automatic bandwidth detection and adjusting the bitrate according to the current network conditions. 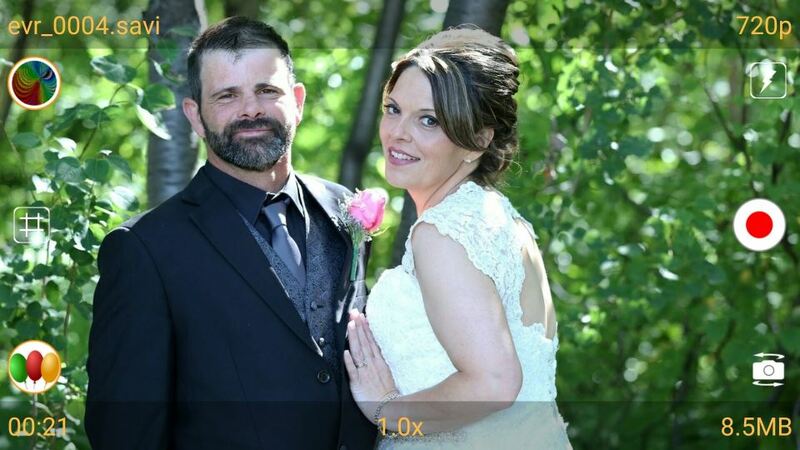 FUNCTIONALLY, Live Video Stream on YouTube is a streaming app that allows you to present quickly a live video of an event to your friends and family members online with special effects. No matter if you are away from your friends or family: by downloading the app you will be able to share every event and celebration’s live videos to your desired ones. Are you attending a seminar and want to share with your colleague? Just download the app Live Video Stream on YouTube, and you will be live on YouTube at completely free of cost almost instantly. The number of applied effects is limited only by the GPU performance of the device. With the background mode the device can be used while the streaming is active. Broadcast your screen live on Twitch with automatic bitrate. FINALLY, the worst problem in screen broadcasting is resolved. How often have you encountered chopped video while streaming your screen live on Twitch? This app will help you minimize dropped frames, while getting the best possible video quality in ever changing internet congestion. This is achieved by automatic bandwidth detection and adjusting the bitrate according to the current network conditions. "Live Screen for Twitch" is a solution long awaited by Twitch broadcasters. Now live gamers can quickly start their streaming without measuring the network speed and wondering what bitrate to choose in advance. Record and play encrypted videos protected with built-in passwords. Video recording is an extremely useful feature in any mobile device today. People love to capture any interesting moment around them. But some videos are personal. All of us have that embarrassing or funny video of a friend or brother or sister etc, which they don't want everyone to see, but only certain people. So what can you do to save yourself the trouble of being worried sick and live your life peacefully? The answer is Encrypted Video Recorder. 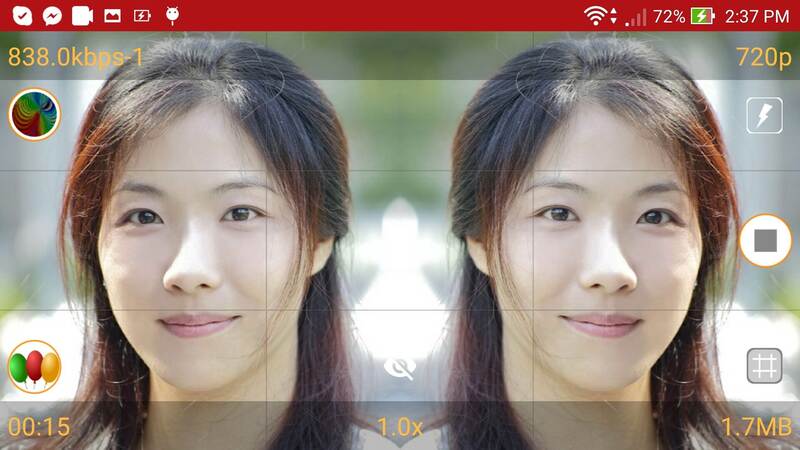 It is the first app for Android capable of recording videos protected with built-in passwords. Encrypted videos can be transferred and stored anywhere in the world, including web servers and cloud services, while still retaining their full protection. Now everyone can record personal videos without fear of prying eyes. ▶ Easy recording of protected videos. The app allows you to easily record protected videos, just tap on the record button, choose which camera to use (front/back) and save the video when done. Each video is password protected and you control the strength of the password. ▶ Easy web streaming. Protected videos can be played directly from web servers with plain or secured HTTP protocol, without need of downloading in advance. ▶ Easy FTP uploading. Built-in FTP client can directly upload the encrypted videos to remote servers. ▶ Background (hidden) mode. You can use your device while recording is in progress. ▶ Special effects in real-time. ▶ Strong encryption. Even if your videos are illegally accessed, no hacker will be able to decrypt them as they are protected with strong AES encryption. ▶ Dynamic recording details. You can easily switch between the front and back camera when recording videos. Each camera has different preset resolutions and during recording you’ll see the video recording settings dynamically shown - duration time, video resolution, current size and total available, overall bitrate. ▶ Fast transparent encryption. The implemented algorithm uses highly optimized native code for the particular device CPU architecture. ▶ No temporary files are used. The recorded video stays encrypted all the time, the data are decrypted in memory only for playback purpose.